One is spontaneous; the other is stable. One’s flighty; the other’s down-home. He’s a single parent; she’s determined to be single. They’re best friends. What happens when these opposites become more than friends? Brooke McClellan is the owner of the shop Best Dressed, and knows how to do three things very well: design amazing dresses, travel, and stay far away from serious relationships. She definitely doesn’t date anyone from Nestled Hollow, and especially not her best friend, Cole. Whenever Cole Iverson isn’t running his restaurant, Back Porch Grill, he’s taking care of his nine-year-old daughter or tamping down the feelings he has for his best friend, Brooke. It’s been three years since his wife died and he’s ready to get remarried, but he knows it could never happen with Brooke. 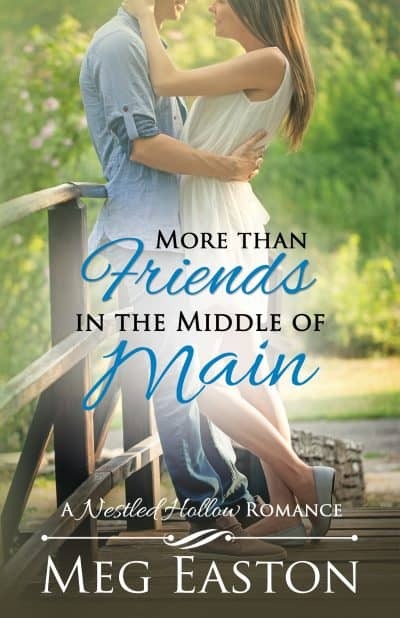 When Brooke offers to help Cole plan the birthday party of his daughter’s dreams and starts to realize that she has feelings for Cole, they’ll both need to figure out if they’re opposites in too many ways, or if they can risk putting everything on the line to become more than friends.